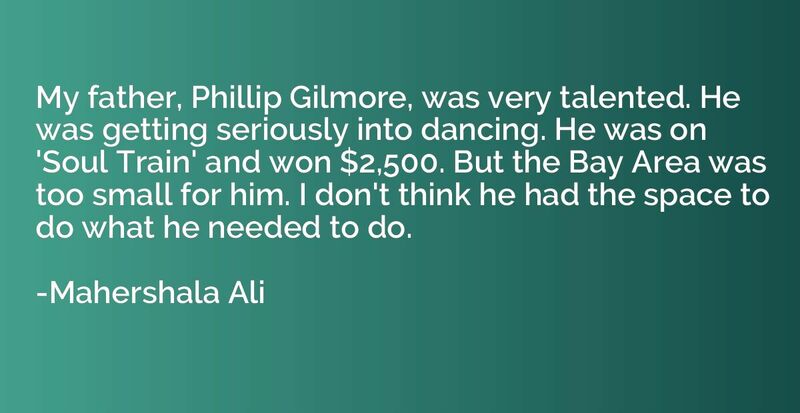 My father, Phillip Gilmore, was very talented. He was getting seriously into dancing. He was on 'Soul Train' and won $2,500. But the Bay Area was too small for him. I don't think he had the space to do what he needed to do.